Mylio is a new organization, editing and backup solution that allows users to access their images across all their devices. Everything: Bringing your pictures together from Facebook, Flickr, SD cards, your camera roll and computers and hard drives into a common place where you can work with, organize and share them. Everywhere: Automatically replicating your pictures to your phone, notebook and tablet, so you can work on your pictures wherever you are, even when there is no Internet access. Always: Mylio automatically protects your pictures so that they are safe even if your computer is stolen, your phone is lost, or your house burns down. Mylio allows you to decide whether your protection includes the cloud or operates entirely independently. Mylio supports Macs running OSX 10.8 or later and and PCs running Windows 7 & 8, iPads, iPhones and iPod Touch running iOS 7 or later. In 2015, Mylio plans to support Android tablets and phones. The service offers three different plans that are billed annually and provide options for storing both JPG and RAW images. Mylio Basic Plan – JPG only, simple editing, three devices, up to 50,000 images, $50/year. Mylio Standard Plan – JPG and RAW, full editing, five devices, up to 100,000 images, $100/year. 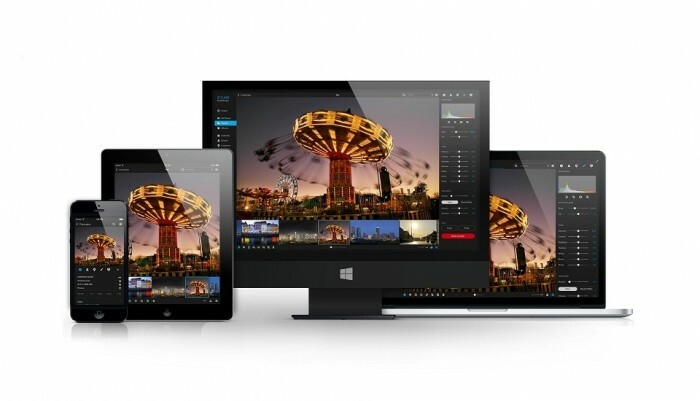 Mylio Advanced Plan – Multi location, workflow, 10 Devices, up to 500,000 images, $250/year. You can sign up for a free trial of Mylio that allows you to test drive the service on up to three devices and 1,000 images. You can learn more about the service on Mylio’s website.